is professor for representation of architecture and new media at Graz University of Technology. He received his diploma in architecture from ETH Zurich where, in 1993, he joined the chair for Architecture and CAAD of Prof. Gerhard Schmitt. Until 1997 he was involved in two major research projects: one on computer support in urban planning and another on digital photogrammetry in architectural design. 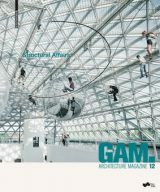 In an issue of the Austrian architecture magazine GAM entitled “Intuition & the machine”, guest editor Urs Hirschberg interviews developmental psychologist Edith Ackermann. Ackermann explains how imagining and realizing novel ideas engages aspects of the mind, body and self that we barely control. Learning, she says, is like the art of living itself, as it is about navigating uncertainties rather than controlling what we cannot predict. Which makes the question as to where digital technologies fit into these complex processes all the more exciting.